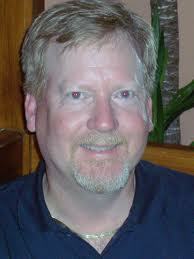 Michael J. Duranceau is a Certified Public Accountant with over 30 years experience. He obtained his Bachelor’s Degree from Florida State University in 1984 and a Master’s Degree in Accounting in 1986. He was recruited from college by the national CPA firm, Ernst & Young and moved to Daytona Beach to work in their local office from 1986 until 1992. From 1992 until 2009, Michael was employed at two area certified public accounting firms as tax manager and partner, respectively. In September 2009, he formed Michael J. Duranceau, CPA, LLC. Michael has extensive experience in individual, corporate, partnership and fiduciary planning and tax return preparation, as well as litigation and business valuations. Helping your business succeed is his primary goal. 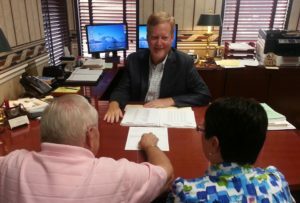 Michael is a long-standing member of both the Florida Institute of Certified Public Accountants (FICPA), and the American Institute of Certified Public Accountants (AICPA). He is a past president of the Volusia County Chapter of the FICPA and former member of the Board of Governors of the FICPA. A long-time resident of the area, Michael’s civic involvement includes tenure on various boards as well as other civic and non-profit organizations. Michael is currently treasurer for the Kiwanis Club of Daytona Beach and serves as a board member for the Daytona State College Foundation. He is the former treasurer for the Daytona Regional Chamber of Commerce and a former board member of the United Way Community Foundation of Volusia-Flagler Counties. Michael was also active with the Volusia Literacy Council for more than fifteen years, formerly serving as both president and treasurer. Michael Duranceau, CPA © Copyright 2017. All Rights Reserved.